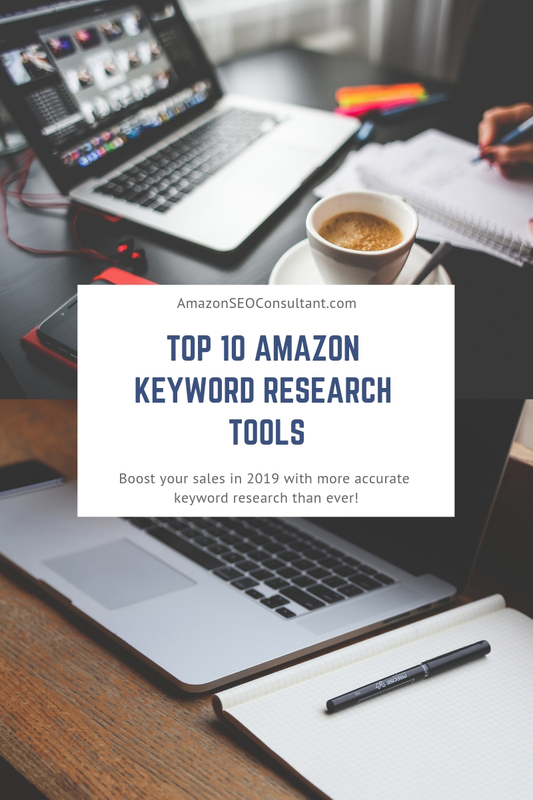 Top 10 Amazon Keyword Research Tools: Turbo Boost Your Sales in 2019! As I’m sure you’re aware by now, we’ve spent a LOT of time recently studying the Amazon A9 algorithm and what makes it tick. We realised that the only way to get unmatched results from Amazon for ourselves, our clients and our readers was to get more granular and put more work in than anybody else – allowing us to provide accurate and effective tips that people simply hadn’t seen elsewhere before. Today we are turning that same in-depth attention to the best Amazon keyword research tools, breaking down exactly what they do best and where they lack, allowing you to confidently and reliably choose which tools are the most effective for you and your goals. After all, once you’ve researched and developed your new product, keyword research is the first step of actually launching it on Amazon. If you don’t go as in-depth as you could and miss out on some great keywords, your product is kneecapped from day one. In fact, since Amazon want to sell as many products as possible, they are always attempting to serve the most relevant, appealing products for every single search term. This means that if you don’t do your keyword research properly….your products are irrelevant and simply don’t stand a chance against other, more accurately targeted products. But don’t panic – we’ve spent hundreds and hundreds of hours analysing, testing and researching all of the most popular keyword research tools, along with some newcomers you likely haven’t even heard of. We’ve compared the keywords they offer, the user experience, the price and more – and we’ve finally come up with the definitive top 10 Amazon keyword research tools on the market. Read on to find out the tools that will be helping sellers to target products, drive clicks and orders, and build profits more than any others in 2019 – you simply can’t afford to miss this! You may be wondering why a tool that isn’t Amazon-specific is on this list, and that’s without mentioning the fact Keyword Planner is one of the simplest tools on the list too. There is one simple reason why Keyword Planner remains one of the most popular and useful keyword research tools on the web, and that reason is that it comes directly from Google. That means the suggestions it gives you come from a larger collection of keyword data than any other tool. While it can’t tell you what people are typing into Amazon specifically, it tells you what are the most accurate search terms on the internet as a whole, straight from the horse’s mouth. Finding popular keywords and long-tail keywords related to your specific niche from Google Keyword Planner, then searching them in Amazon can be a great way to discover new product ideas and the type of keywords typed in by those who want to buy them. Google Keyword Planner might not have advanced reporting capabilities and new features like most of the other tools on this list, but it will likely remain a staple of the industry forever due to the huge amount of data it’s able to call on, and the fact it dies directly into Google AdWords. What Keyword Tool doesn’t offer in terms of advanced options, it makes up for in extreme ease of use and the fact its free version is right there and ready to use as soon as you land on its homepage, with no need for even signing up. KeywordTool.io is a great way to find long-tail keywords around the keywords you already have. In this sense, it is probably something that is best used to complement your main source of keyword research, as opposed to being the source of all of your keywords. It is also designed well around this use, allowing you to open the page, slap in a keyword and get a page full of long-tail variations in instants, then close it again and get back to where you were previously. Since it’s becoming more and more difficult to rank for the top search term in a certain market, Keyword Tool is extremely handy for hunting down those long-tail alternatives, allowing you to take advantage of the less competitive searches. Keyword Tool also lets you analyse your competitor’s sites to find out what keywords they are using, but in general, it only displays top-level search terms and is virtually useless for finding long-tail keywords, so we personally found the usefulness of this option pretty limited. The paid version of Keyword Tool costs $88 per month which only gets you one user account. We did find this a bit expensive for what it offers, and only having one login is a pretty big downside too. Overall, we would not recommend the paid version of Keyword Tool, but the free version is certainly worth being aware of and checking every now and then when you are on the hunt for more unique and low competition terms. AMZ One is an all-in-one package for Amazon sellers that allows you to enter different products (your own or competitors) and track sales day-to-day. It also gives alerts when your products receive negative reviews, lists the top 30,000 products in each category and more. Of course, for this list, we’re only interested in the keyword research capabilities of AMZ One, but this is worth mentioning anyway as the paid packages are priced pretty fairly and if you’re looking for an all-in-one solution, you can do worse. AMZ One does allow you to track your rankings for each keyword and see your products increase or decrease in rank day-by-day, which is certainly convenient and allows you to get an immediate picture of the current situation first thing each day. As for the keyword research features, they do feel a little clunky design wise and keywords often seem to repeat several times through the results, which is a little bit of a shame, but the results are accurate and mostly easy to implement regardless, which along with the other features, makes AMZ One impossible not to mention on this list. 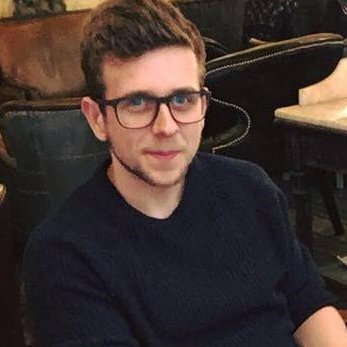 To sum up, if you are looking for solutions for keyword research only, keep doing moving down the list as there are some much better options than AMZ One in this area, but if you are looking for a cheap all-in-one solution with a variety of pricing packages to help you manage your Amazon business, this is a pretty great option. Pricing: Free package, or a variety of paid packages ranging from $20 per month for 45 keywords up to $180 per month for 1500 keywords. 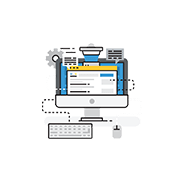 We like MerchantWords here at AmazonSEOConsultant, partly because they have a similar outlook to us: work hard, put in the effort in the long term, and eventually, you’ll find things others haven’t had the time to. MerchantWords has been quietly and consistently building a huge collection of Amazon search phrases since it first launched 7 years ago, making it one of the most comprehensive options out there. They also collect data from virtually every Amazon marketplace in the world. The solution is growing in popularity due to its ease of use and it’s smooth and clear design. It allows you to enter a search keyword and see all of the potential variations and search volumes, making it an excellent source of long-tail keywords your competitors may not have thought of. It’s algorithm even helps you find these new opportunities by displaying the keywords with the least competition and highest search traffic. The only major downside is that there isn’t a free version of MerchantWords. A subscription is necessary to get any sort of use out of it which makes it difficult to try in the first place. Pricing: $30 per month for unlimited keywords (United States data only) or $60 per month for unlimited keywords (Global data). Keyword Tool Dominator works across multiple marketplaces including eBay and Etsy, but of course, Amazon is where our interest lies. KTD has a nice, user-friendly design and suggests longtail keywords, rankings for your keywords and more. We also like that it’s a one-time purchase, making it a pretty low-risk investment. For this one time purchase, you barely get any limits on anything, allowing unlimited keywords, daily searches etc. KTD automatically enters thousands of keywords into Google, Amazon, Youtube and even less commonly used platforms like Etsy and Bing, scanning the Autocomplete results thrown up for each search to collect thousands of long-tail keywords that are searched by real users. This is pretty unique compared to how most other tools collect their data and is comparable to a human sitting there all day researching what autocomplete results were thrown up when they typed in different search terms (but much faster of course) – we like this a lot because it ensures accuracy and you can rest assured at least somebody has typed in every suggestion the software throws up. They do give you 3 free searches before you have to buy the paid package, so I highly recommend doing this even if you’re happy with your current software, as it allows you to quickly get a feel for how Keyword Tool Dominator works. Pricing: 3 Free searches on sign up. $70 one-off payment for their Amazon tool, or $130 for all 7 of their keyword tools. As of the time of writing, these were on sale for $58.79 and $109.19 respectively. ViralLaunch is once again an all-in-one Amazon management suite but it comes with a pretty nifty keyword research tool. This even includes a Listing Analyzer & Builder which seamlessly provides recommendations for ways you can improve your listings. ViralLaunch offers 4 different packages, with the highest being the Pro package for $99 per month. Realistically, we find this one pretty unnecessary and believe most businesses will be perfectly fine with the Intermediate or Advanced packages ($59-$79 a month). This is because all of the packages include the keyword research tool, and these two packages specifically include the Product Discovery tool and the Market Intelligence tool – these are very handy for product research and will provide in-depth data that makes it super easy to find new product ideas and predict how well they can be expected to do. The keyword research tool is super handy too, as it allows you to add keywords to your listings, essentially building out your listings at the same time as you do your keyword research, making the whole process super easy and making it virtually impossible to miss any keywords out. Pricing: $49.17 – $332.50 per month depending on the package. SellerApp is a very robust offering with great customer support, and more importantly an intuitive layout that makes it super easy to find all the data you need. The first thing you notice when checking out SellerApp is just how many things it does, with features ranging from keyword research (obviously) to updates on other sellers, product sourcing, product ideas and more. While we don’t usually recommend using tools that try to do everything (master of none and all that), SellerApp actually handles most of these things well and is definitely a very useful keyword research tool. It’s also naturally scalable by design which is a big deal and makes it a strong recommendation for businesses of any size. SellerApp provides recommendations for keywords that are highly searched and come with low competition, allowing you to add these directly to your listings. Pricing: There are free options, but they are very limited. For regular use, you will need to subscribe. Packages range from $49.99 to $399.99, but the $99.99 option should be more than enough for most Amazon sellers. Sonar is a free of charge keyword research tool provided by Sellics. If you’ve read our guide to Amazon seller tools you’ll be aware we are already huge fans of Sellics. Sonar shares many of the same design sensibilities and is very easy to use for businesses of almost any size, from sole traders to corporations. It also offers a 14 day free trial with no need to subscribe or enter card details, which is pretty rare in this industry and makes it a no-brainer to at least try out. One of the best and most unique tools in the Sonar box is the ability to reverse search ASINs, allowing you to find and track keywords that your competitors are trying to rank for. Sonar works from a database of over 70 million keywords, gives search volume estimates and easy data exporting, but most of all it’s just really well designed and easy to use. It has plenty of options to help you start out an Amazon business and is simple enough to use effectively with zero experience, making it an awesome choice for those who are just starting out. Helium10 is something we commonly use here at AmazonSEOConsultant, and is certainly a standout choice. One thing you will notice about Helium10 is that it has a huge, broad range of tools and data to utilise, but spends barely any time teaching you how to use them. This can be frustrating in the early stages, but personally, we think it can be a good thing, as if you get your head around it in detail, you know a relatively low amount of people are getting the same amount of effectiveness from the programme as you. It also doesn’t waste any time with things like analysing your listings or boosting your conversions – this package knows what it does, and focuses on doing it the best. Our staff know Helium10 like the back of their hands, and it is used daily to aid us in keyword research, both for ourselves and for our customers. Helium10 makes sure you use the best keywords for your product, keeps suggesting more over time that may improve performance, and is one of the most empowering ways to manage your keyword research. Unlike other suites on this list with multiple tools, Helium10 doesn’t have just one keyword research tool, offering tools to fit keywords into titles, find keywords you aren’t listed for, checking for misspellings and more. This is a powerful and incredibly well-designed piece of software that is a no brainer for anybody looking to launch and rank Amazon products. Pricing: There is a limited free version that lets you try out the system. Paid subscriptions range from $97 – $297 per month, but the $97 package should be more than enough for most small to medium Amazon businesses. Here it is, our champion! KeyworX is a relatively new product, and before it’s release Helium10 was our main workhorse. While we still love Helium10 and would strongly recommend it, KeyworX is our new #1 – despite being so new to the market, it is doing everything right so far. You get a good free trial, a lower subscription price than most, and more importantly, it’s just super well designed and easy to work with. There is no bloat whatsoever in KeyworX, every single button in the dashboard provides a powerful range of uses. The low-cost subscription options make it the best choice for sole traders and new Amazon sellers, but realistically the data is so powerful and accurate that we would position this as the first choice for larger companies too. KeyworX claims to have the most accurate keyword data there is, and while we can’t confirm that, it certainly feels like that’s the case. They are also a great source of high-quality tutorials and case studies, meaning you can build an Amazon business almost entirely through KeyworX and it’s recommendations if you’re new to Amazon selling. If you’re looking for an Amazon keyword research tool that’s fast, easy to use and well designed, yet also powerful and comprehensive – look no further than KeyworX! We make it our mission to keep on track of Amazon keyword research tools, and will be back with an update if any other standouts make themselves known to us. Feel free to Contact Us if you have any recommendations that you think are worthy for the next list, or check out our Case Studies to see how we use the most powerful tools and experts in the industry to propel our clients’ products to the top of the Amazon rankings! PrevPreviousProducts to Sell Online: Trending eCommerce Niches in 2019 & Beyond!